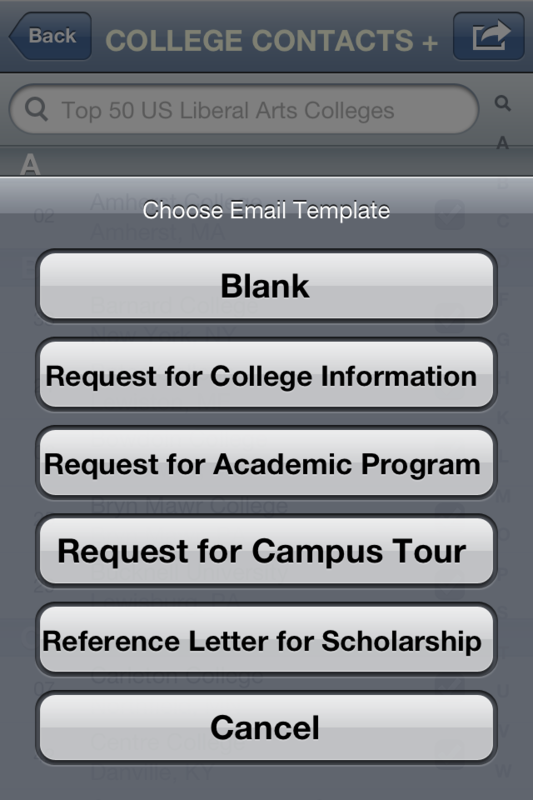 COLLEGE CONTACTS+EMAILER IS A POWERFUL CONTACT AND EMAIL APP FOR COLLEGE APPLICANTS, PARENTS AND EDUCATION BUSINESS MARKETING PROFESSIONALS. ✔ Touch the school web link to browse home page with built-in browser. 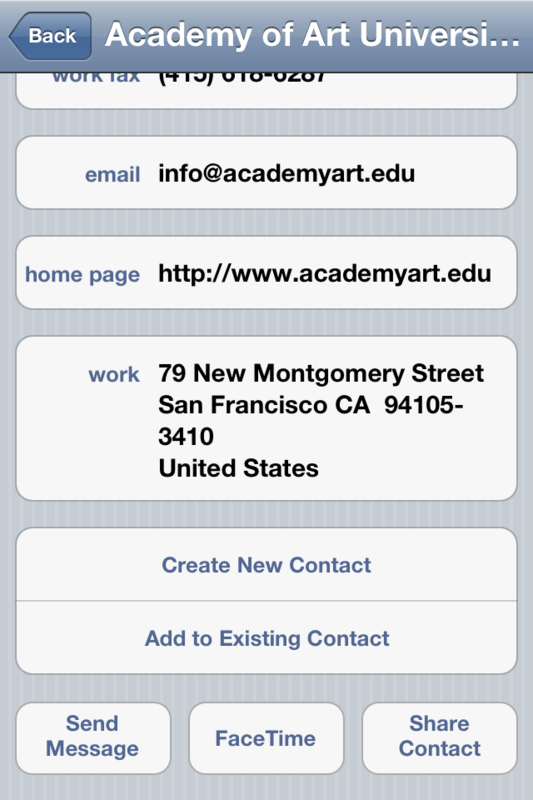 ✔ Touch the email address to send email within the app. 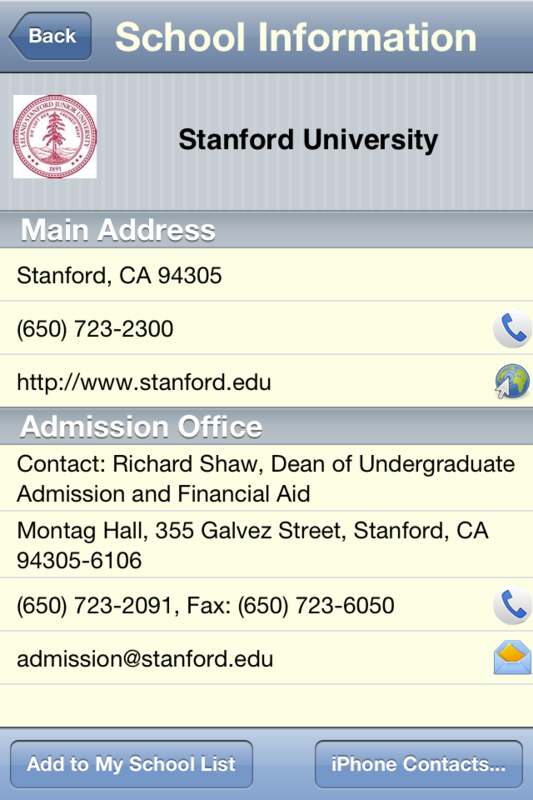 Send email to all selected schools with single tap. You can also choose built-in template to send to the email list. 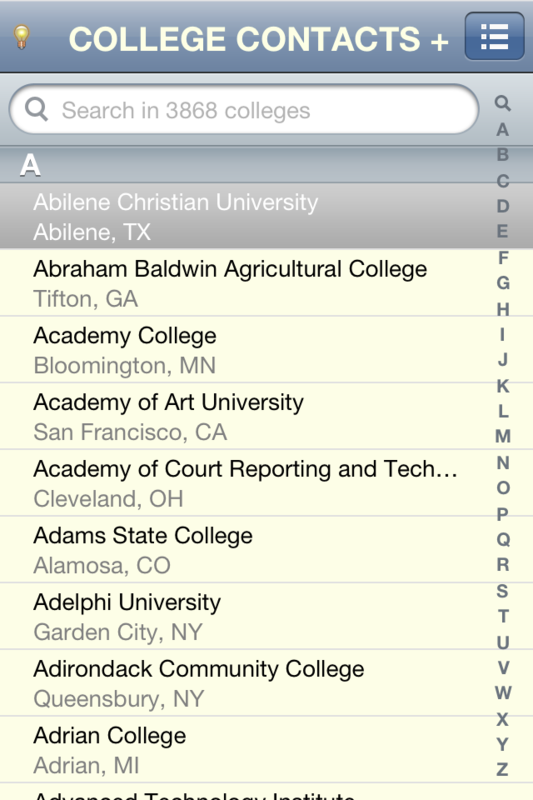 You can add, delete schools of your own school list. 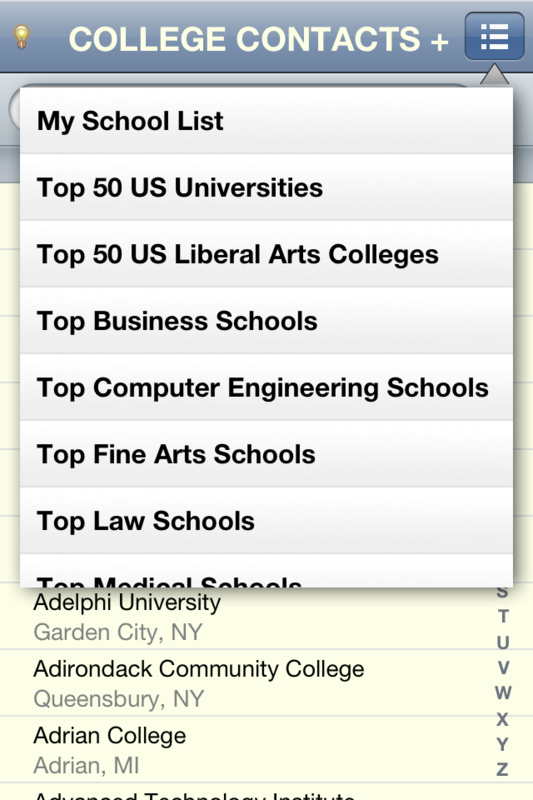 However, the built-in school list can not be changed. 5. 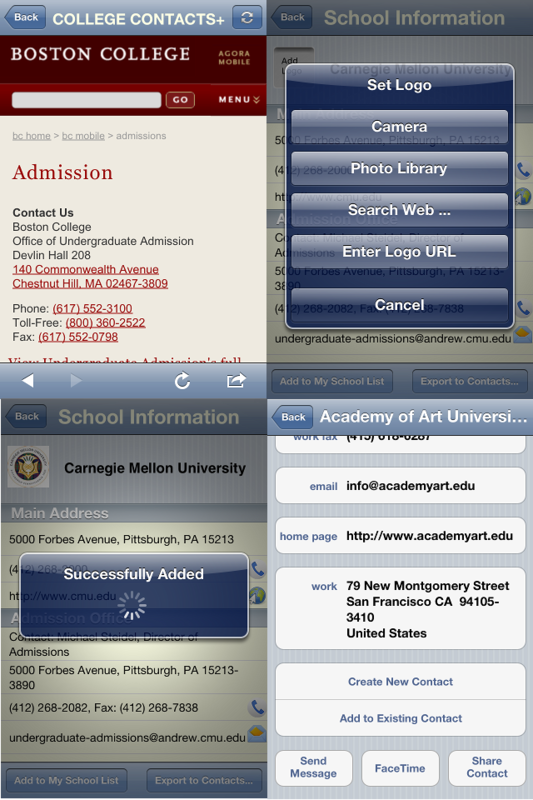 Choose logo for school: from photo library, web image search results, web link or camera (iPhone). The built-in web logo search is very fun. You have to try it. 6. Fast search of school with “Name”, “City”, “State”. 7. Last one, also the best of all, we have built in web support page. NOTE: the email template is for saving your typing. You need to carefully edit the email for your own situation. Review mobile and web apps - products, development and technology trend.